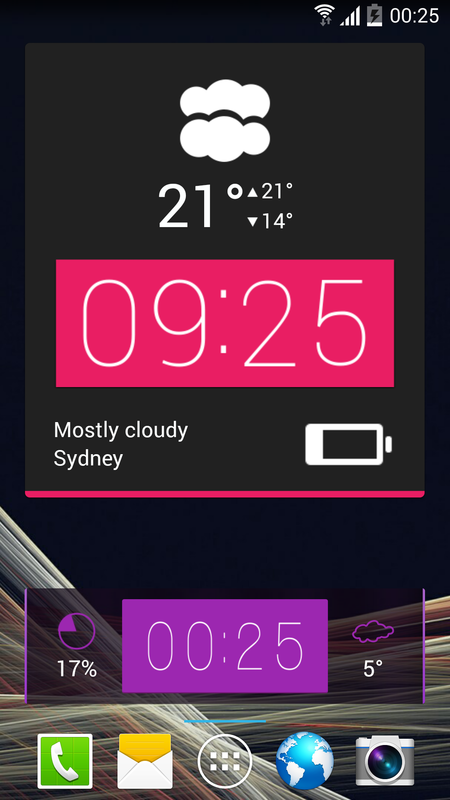 Everything you ever wanted on your home screen. 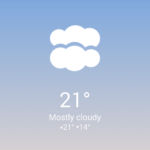 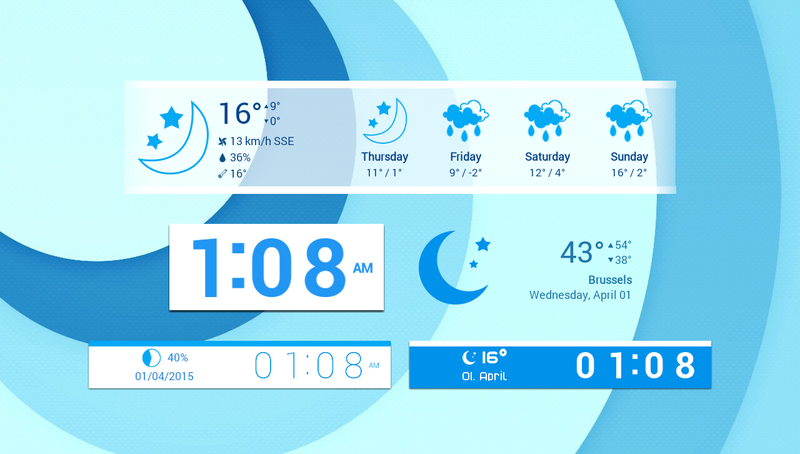 The ultimate widgets for Android have arrived, and the best thing is - they're completely free! 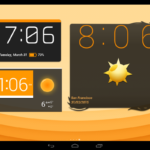 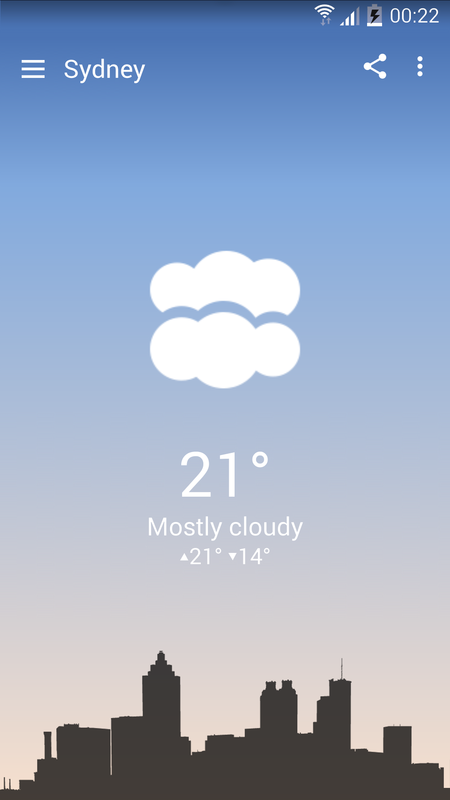 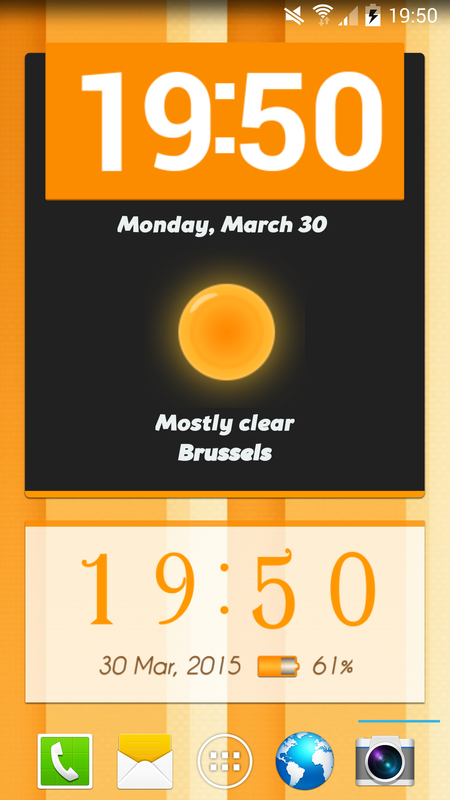 Set up a customizable and resizable clock widget, date widget, battery widget, weather widget or a forecast widget with ease. 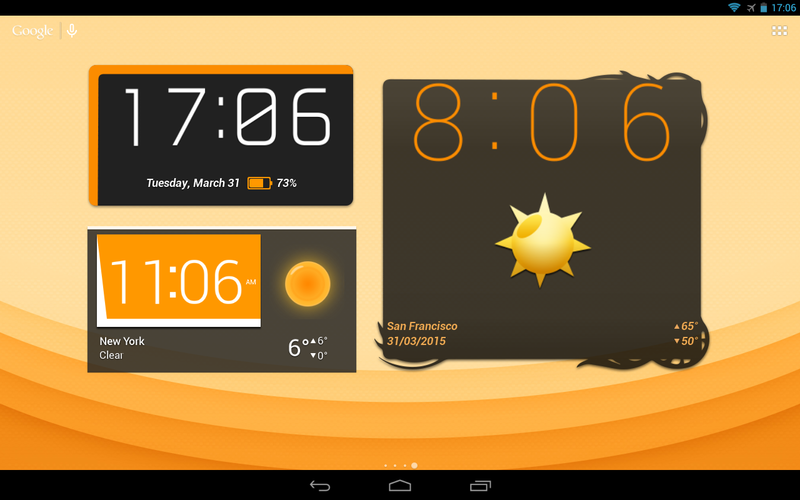 With the premium feel and finish that rivals paid widget packages, Best Widgets will blow you away! 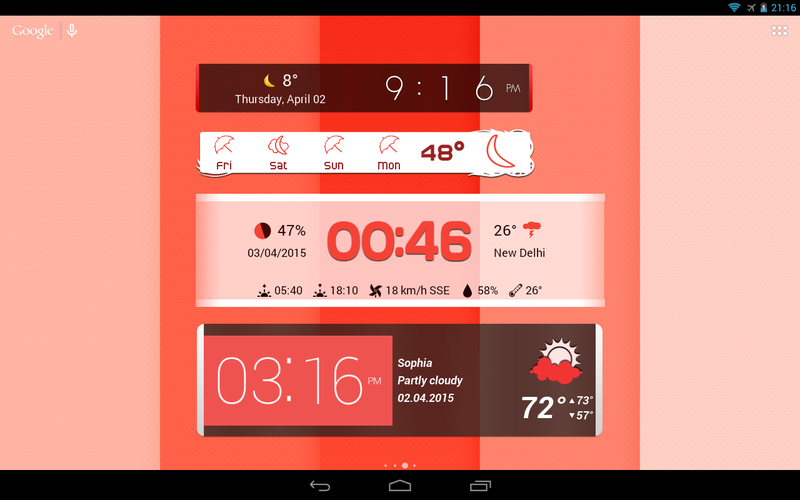 With Best Widgets, you can customize your widget's looks to your heart's content! 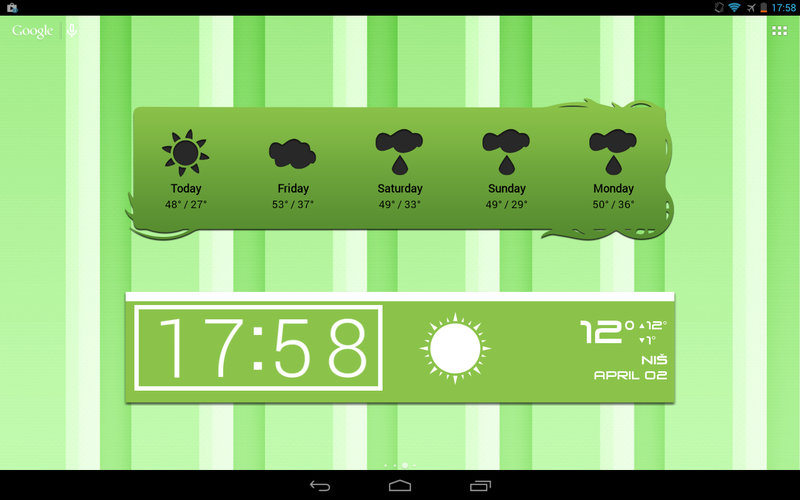 Download widget and clock backgrounds, change weather and battery icons, and apply custom fonts and colors. 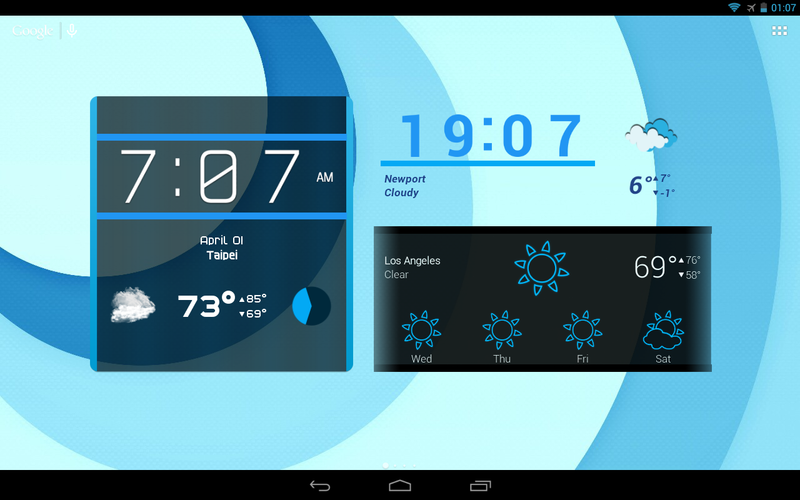 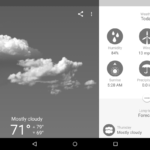 Your weather screen has never looked better! 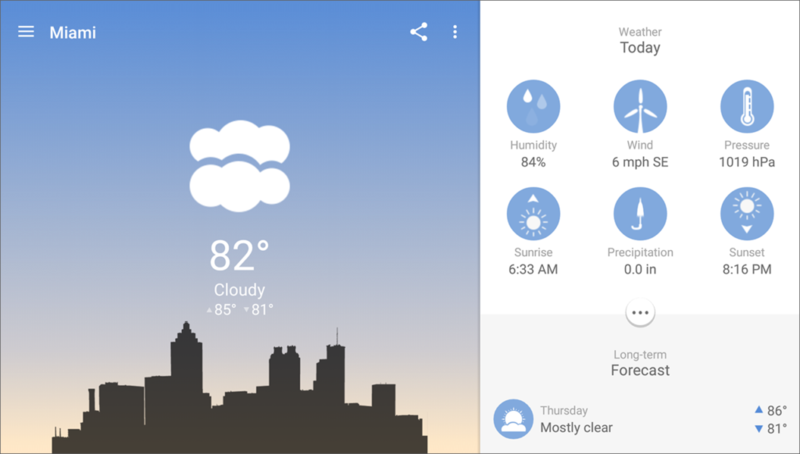 Choose between three gorgeous screen styles and get detailed weather information and the long-term forecast for your city or any other location you choose. 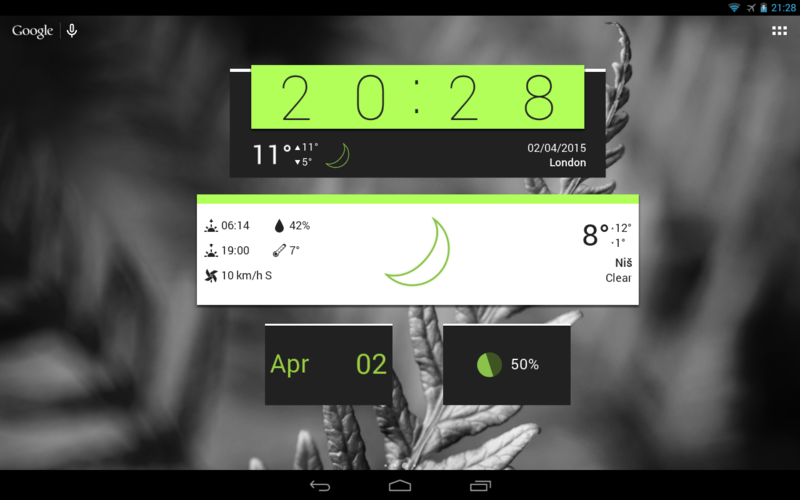 Do you want modern-looking, dynamic widgets? 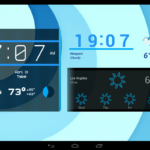 Best Widgets has you covered! 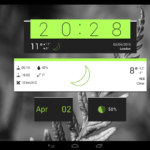 Our unique animated clock has 7 animations to choose from (available on devices running Android 4.0+). 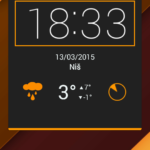 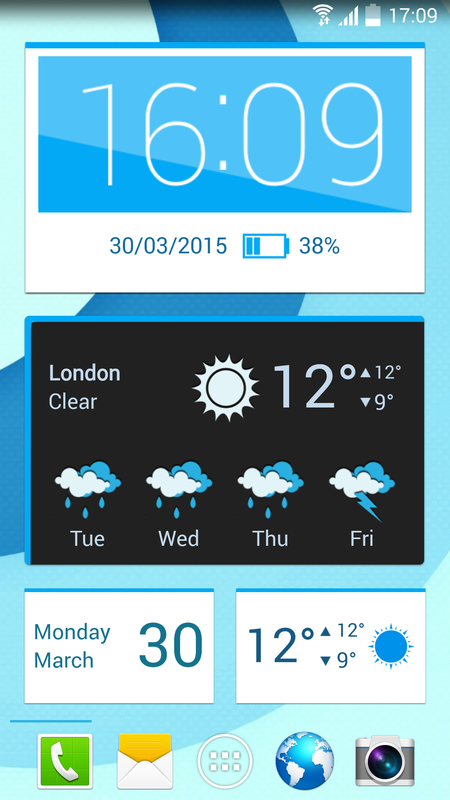 Functionality: Display the current time, date, battery level, weather, and long-term forecast on your home screen. 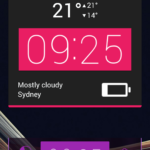 Always get the info you need where you need it! 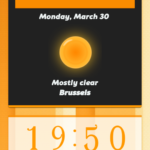 Flexibility: Choose from a number of dimensions (2x1, 4x1, 4x2, 4x4, 5x1, 5x2, 6x2) and resize the widgets freely to make them suit your home screen perfectly. 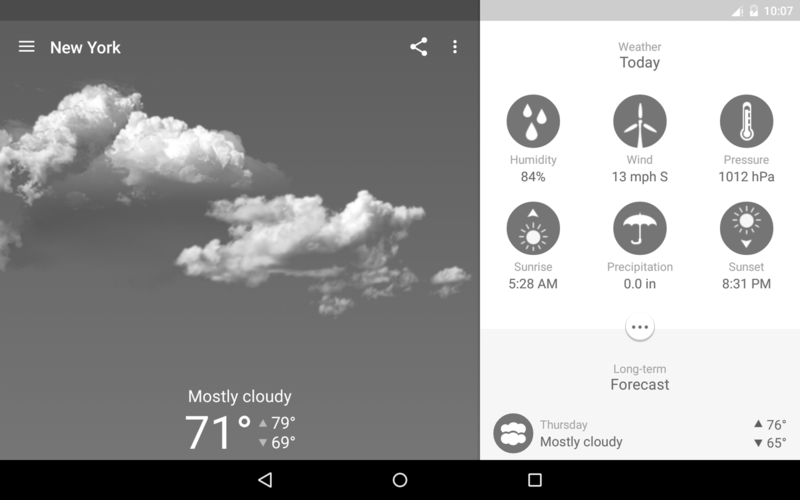 App Shortcuts: Best Widgets lets you assign your favorite applications to the the date and time areas on the widget and open them in a single tap. 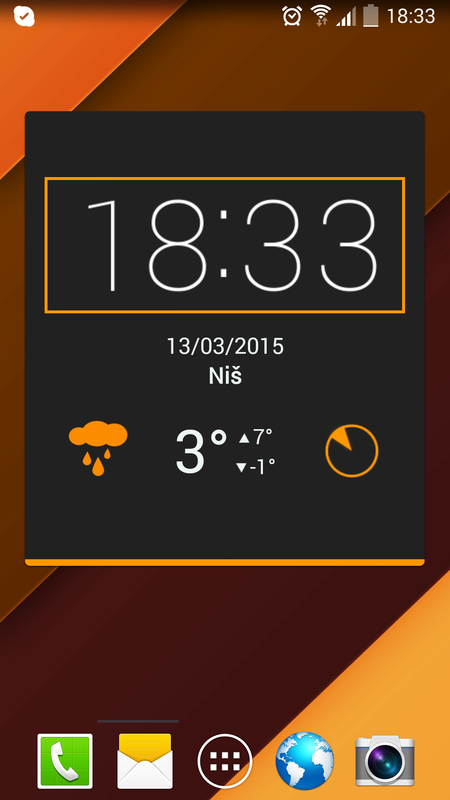 Quick Share: From the weather screen, in a single tap, you can send the weather forecast to your friends via e-mail or social networks. 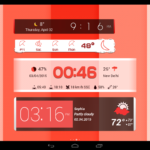 We think that Best Widgets look amazing, and with our advanced customization options, you will be able to create a widget that fits your home screen layout and wallpaper perfectly. 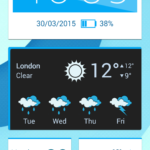 However, don't take our word for it - here are some screenshots that show Best Widgets in action and prove our point. 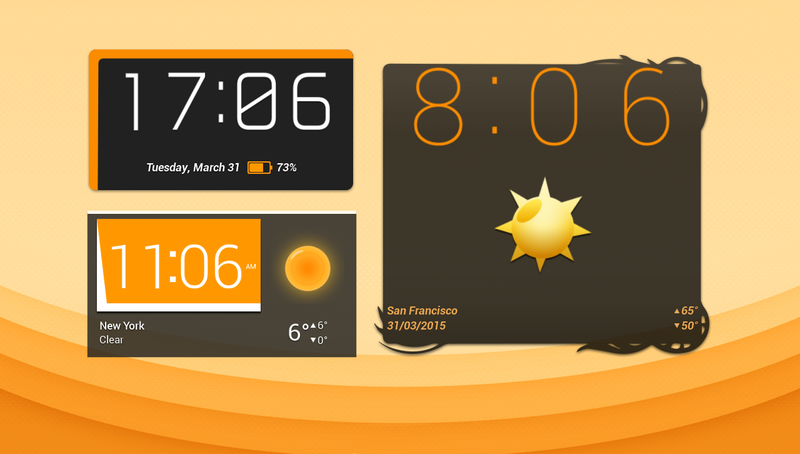 If you are interested in the Best Widgets press kit, you can get it here.